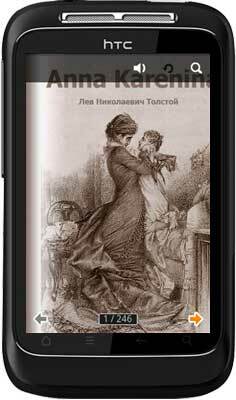 Anna Karenina is a novel by the Russian writer Leo Tolotoy, published in serial installments from 1873 to 1877 in the periodical The Russian Messenger. Widely regarded as a prinnacle in realist fiction, Tolstoy considered Anna Karenina his first true novel, when he came to consider War and Peace to be more than a novel. 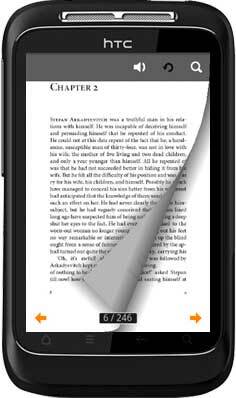 Only if install this book app in your Android devices, you can read smoothly as read a real paper book. To your surprised, you can search and quick index, simultaneously can appreciate the decent page flipping effect. 1. 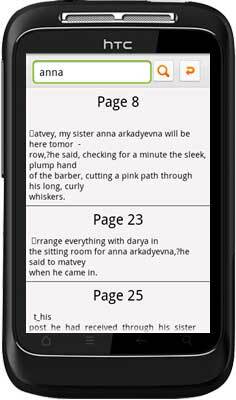 The cover of Anna-Karenina, this interface is standard, also you can create thumbnails for all the pages. 2. One page flipping effect demonstration. 3. 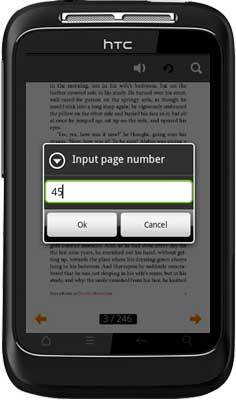 Index quick search, you can skip to any page of Anna-Karenina. 4. Of course, you can search the special content you want to view first like below illustration shown.